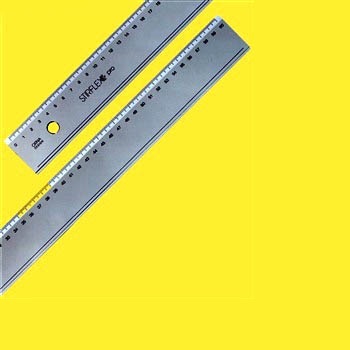 Strong and durable clear plastic rulers. 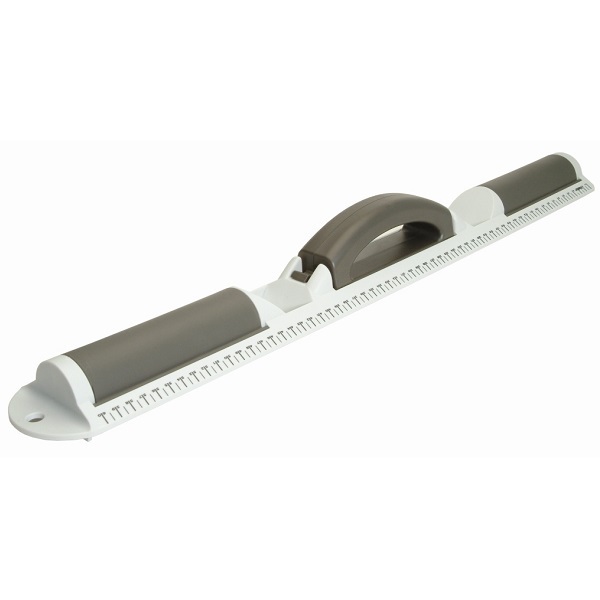 Available in 30 cm (300 mm) or 40 cm (400 mm) lengths. 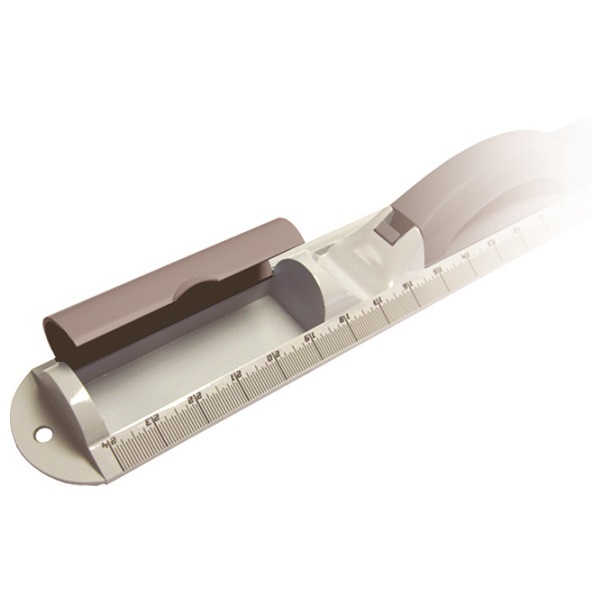 High quality stainless steel rulers for long lasting performance. Complete with hanging hook for use in warehouse, storeroom etc. Available in 30 cm (12") or 60 cm (24") lengths. 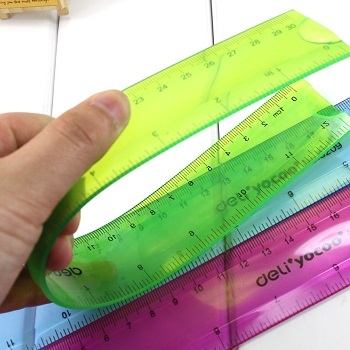 Durable, long life, soft feel flexible ruler. Made from environmentally friendly polypropylene material. 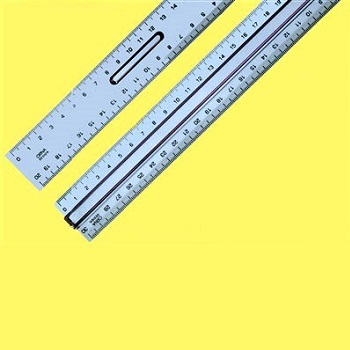 Flexible 30 cm plastic ruler with metric measurements. 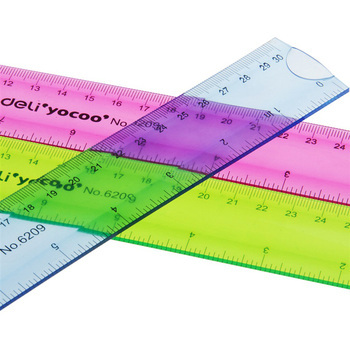 Bendy ruler is soft and really flexible and can be twisted around. Flexible 30 cm with metric measurements. Available in assorted metallic colours with silver embossed measurements. Colours Blue, Charcoal, Grape, Orange and Yellow randomly selected from stock. Suitable for 2 Ring Binders and Lever Arch Files. 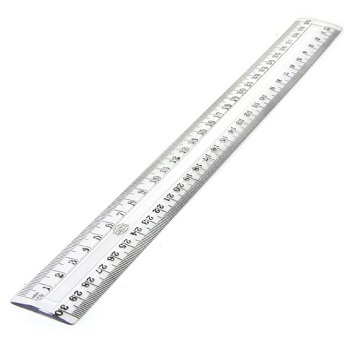 Clear 30 cm ruler with metric measurements. 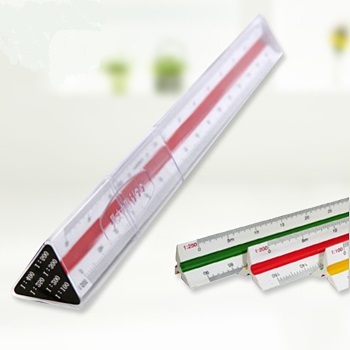 Quality triangular 30 cm scale ruler at a deli..cious price. Ideal for technicians and professional use. 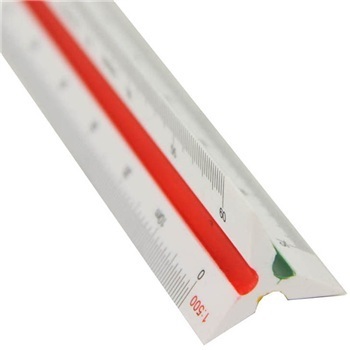 White plastic triangular ruler with coloured grooves. Ruler series made of Stiflex™ flexible and undeformable material of high transparency with smoke grey tint. Technical features include: Specular and clear surface, Graduations in mm, Chemical engraved printing and Ink pen edges. 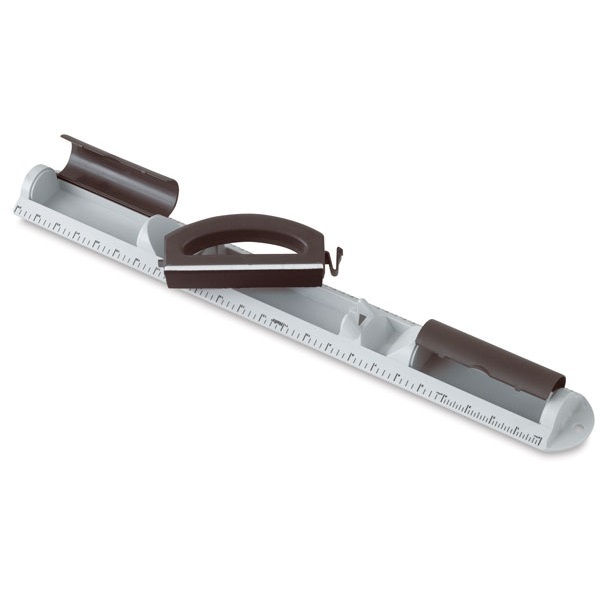 Ideal for technical drawing and school use. Each ruler supplied in a yellow protective wallet.